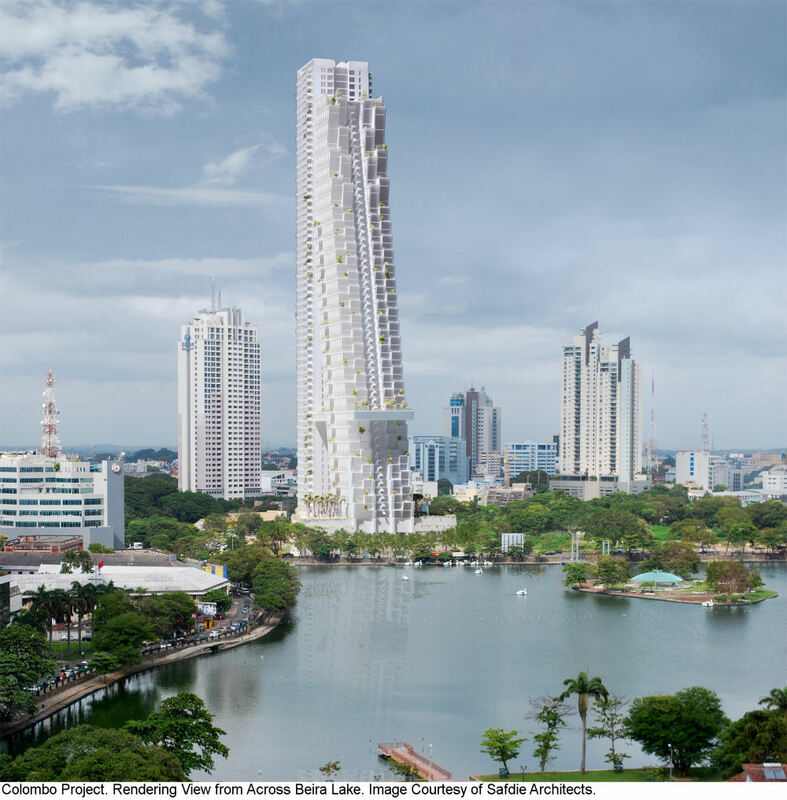 This will be Sri Lanka's tallest tower when completed. The mixed-use project is recognised by its 57th floor SkyPark with its 150-meter infinity swimming pool, observation deck and restaurants. The ground floor will have restaurants and a retail area. Each apartment in the front section which is leaning away from the lake will have its own garden.